A narrative told through Four Throughlines elevates this film to legendary status. Presenting the end of the legendary Wolverine and the passing of the torch to the next generation, Logan provides an excellent example of purposeful story structure. This element of Ending, or “coming to a conclusion” motivates conflict in both the Overall Story Throughline and the Main Character Throughline. From the objective perspective of what problems They encounter, a Transgien virus created and distributed by Dr. Zander Rice (Richard E. Grant) brings the decline of the mutant race. Escaped test subject X-23, or Laura (Daren Keen), represents the result of his failed experiment to create super soldiers from the DNA of these dead mutants. The motivation to close the book on her and her fellow child mutants establishes the source of conflict for everyone in the story. From the first-person subjective perspective of what problems I encounter, Logan (Hugh Jackman) is dying. With his healing ability slowing and his Adamantium-laced bones poisoning him from within, the end of Wolverine is near (Main Character Concern of Progress, or How Things are Changing). His declining health justifies his carrying of a single Adamantium bullet to support his plans of one day committing suicide. Both perspectives provide an account of the forces of termination generating conflict. The remaining two perspectives of the Influence Character Throughline and Relationship Story Throughline balance out that negative drive with different point-of-views. Influence Character Laura is a mirror of Logan’s former self, her actions showcasing what problems You encounter. Where Logan laments his instinct to kill, Laura embraces it and uses it to her advantage. Her ferociousness and animalistic rage challenge Wolverine’s focus on giving up by showing how the impulse to kill can solve problems (Influence Character Concern of Preconscious, or Impulsive Responses). Mired in the guilt of his past killings, Logan watches as Laura’s socially offensive behavior gets them out of trouble each time (Influence Character Problem of Accurate, or “being within tolerances”). The developing father/daughter dynamic between the two within the Relationship Story Throughline demonstrates the kind of problems We encounter. From this perspective, the conflict appears to source from an element of Proven, or what has been “verified, confirmed, or shown.” If anything, both have shown their inability to function properly as a family. This accepted truth forces their family apart when flowing with the dynamic would lead to them fulfilling the roles needed to resolve their relationship (Relationship Story Concern of Being, or Playing a Role). The result of these four perspectives is a passing of the torch. From Logan’s point-of-view, this plays with the notion “Legends never die”. The consumption of the antidote and the ensuing violent surge through the forest confirms the comic-book fantasy of Wolverine and his acceptance of Laura’s approach towards solving problems (Main Character Issue of Fantasy, Main Character Solution of Unending). From an overall story perspective, this plays out with the idea that these children will pick up where Wolverine and Professor X left off. The “X-Men” will continue, never ceasing to exist (Story Outcome of Success). More importantly, the father/daughter relationship resolves with Laura’s recognition of Logan as her father. Calling him “Daddy” as he breathes his last fails to give their relationship a chance to prove itself. Without proof that they are worthy of fulfilling such familial roles, their bond solidifies unconfirmed and unverified (Relationship Story Solution of Unproven). This line carries two different meanings as it resolves both the Relationship Story Throughline and the Main Character Throughline. Within the context of the latter, Logan literally dies. With his healing powers failing, he crosses over unaware of what to expect next. This line also speaks of familial love. 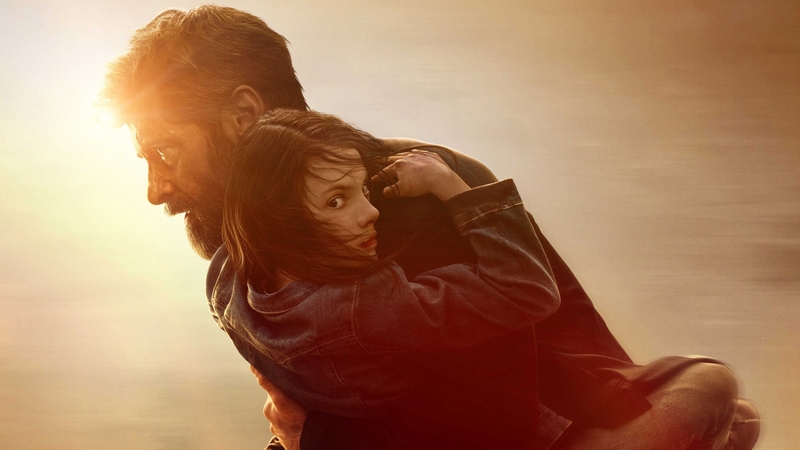 Letting someone get close and embracing the love of a daughter is new for Logan as much as dying. His acceptance of her and his own death brings a peaceful resolution to his personal struggles and the end to a fantastic and heartfelt film (Story Judgment of Good).